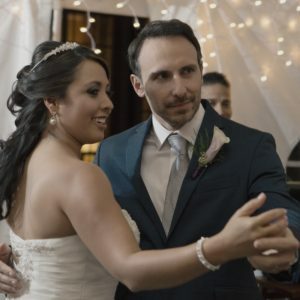 If you wanted to have the best wedding photos on your wedding day, it is important that you know how to choose the best wedding photographer in Manhattan. In that way, you can rest assured that you will have the best wedding photo album that will be a constant reminder of your wonderful wedding day. Make sure that you know how to determine a quality wedding photo compared to a poor one. A professional wedding photographer is always more than willing to show you his portfolio of wedding albums that he has taken before so make sure that you consider the way he edited the photos, the quality of the photos, the lighting effects as well as the colors. If it had surpassed your standards then you should talk further about the project that you are offering. Even before your wedding, you should already know the photography style that you wanted to have on your wedding day. If it’s classic and the specialty of the wedding photographer is shooting in bright neon colors, obviously your styles don’t match and it often results in poor quality photos. With that being said, the moment you look at their portfolio on their website you should be able to determine if you wanted to conduct a short meeting with him or not. He should be a qualified and experienced wedding photographer in Manhattan in order to make sure that he will be able to provide artistic wedding photos of your wedding day. If he is still figuring out what he needs to do then you might consider looking for another wedding photographer instead. Experience is important because it helps you determine if he knows what exactly he is doing. It is also important that you check the reviews and testimonials of his past clients about him. With that being said, search for his name and read reviews about him. His background or you can check his official website to get the information that you need. You could also ask for a reference so that you will be able to talk to his past client about his performance. However, if he refuses to give then you should not be wasting your time with him anymore and look for other wedding photographers.